Several high-level European delegations visited ESO's Paranal Observatory in northern Chile over the past few days, following the Summit of the Community of Latin American and Caribbean States–European Union (CELAC–EU). The summit, which is the biggest such event ever organised by Chile, took place in Santiago during the week of 22–28 January 2013. 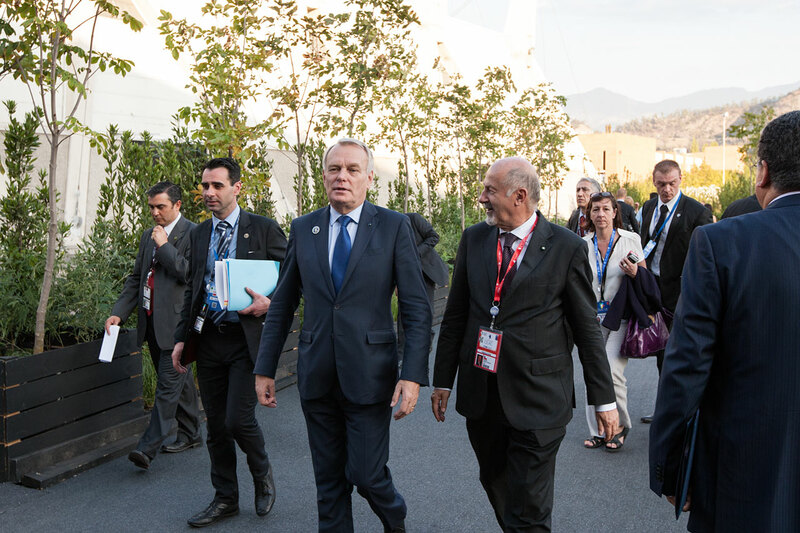 ESO had a starring role in the event and it was an excellent opportunity for it to show its work and facilities to representatives of the Member States. During the week, several high-ranking officials from Europe visited ESO's premises in Chile. Among these were: the President of the European Council, Herman Van Rompuy; the President of the European Commission, José Manuel Barroso; the High Representative of the European Union for Foreign Affairs and Security Policy, Baroness Catherine Ashton of Upholland; the Foreign Minister of Sweden, Carl Bildt; the European Commissioner for Trade, Karel De Gucht; and the Director for the Americas of the UK’s Foreign & Commonwealth Office, Kate Smith. Sixty one heads of state and of governments from Latin America, the Caribbean and the European Union were invited to the summit, along with ministers and other officials. The goal of the meeting was to build a strategic alliance for sustainable development and the creation of a political, economic, physical and energy integration scheme. 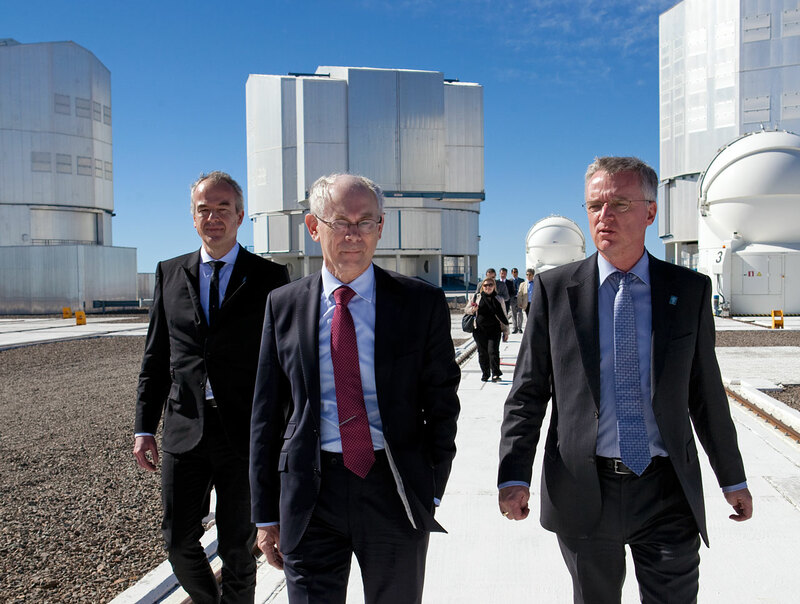 Herman Van Rompuy and José Manuel Barroso independently visited ESO’s Paranal Observatory, which is in Chile’s Atacama Desert, at an altitude 2635 metres above sea level. They were both taken on tours of the observatory by Tim de Zeeuw, ESO’s Director General, where they admired the four 8.2-metre telescopes which comprise the Very Large Telescope (VLT), the most advanced optical/infrared telescope in the world. 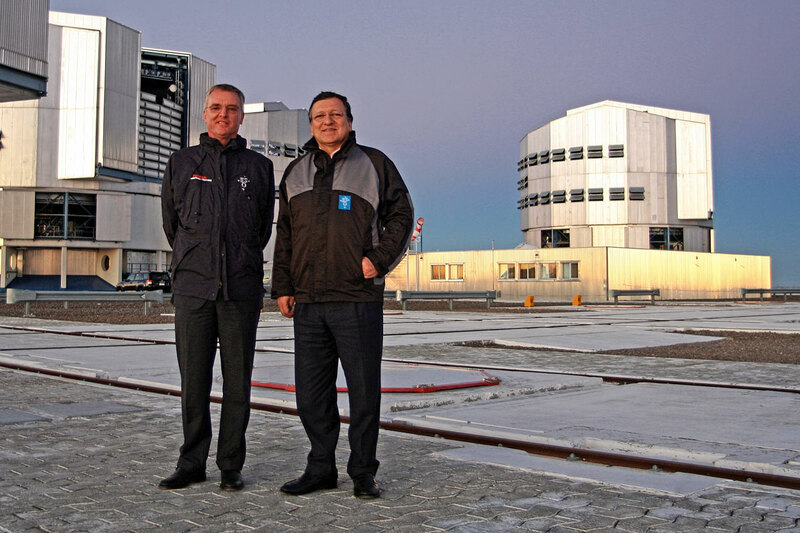 They also toured Paranal’s award-winning Residencia, the observatory’s accommodation and office building. 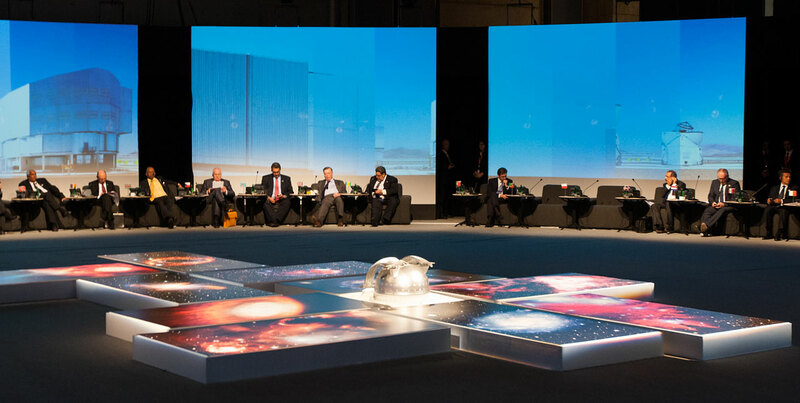 Tim de Zeeuw, ESO’s Director General, added: “We are honoured to receive the leaders of the European Union as well as representatives from European countries here in Paranal and present our work to them. ESO is a great example of how people from many different countries and cultural backgrounds have come together to bring astronomy in our Member States and the host nation of Chile to the forefront of astronomical research in the world”. Catherine Ashton, the High Representative of the Union for Foreign Affairs and Security Policy, visited the Paranal Observatory earlier in the week with the Minister for Foreign Affairs of Sweden, Carl Bildt. In addition, Kate Smith, Director for the Americas of the UK’s Foreign & Commonwealth Office, visited ESO’s offices in Santiago where ESO’s work in Chile is coordinated. ESO was also invited to exhibit some of its work at the CELAC–EU summit, held at Espacio Riesco in Santiago. 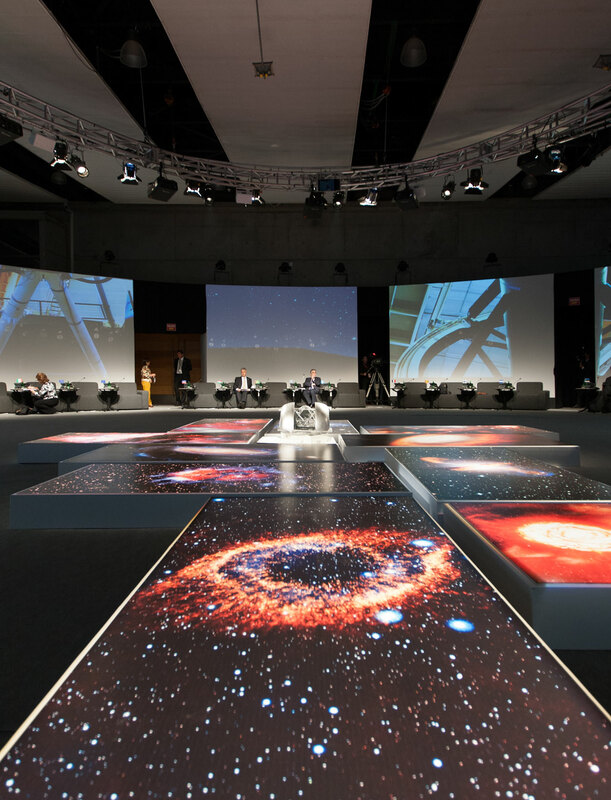 The stars themselves were also a theme in the logo of the summit, based on the renowned work by Chilean sculptor Mario Irarrázabal, and featuring stars representing the skies of northern Chile. ESO’s Awesome Universe exhibition, created to celebrate the organisation’s 50th anniversary in 2012, was chosen to decorate the area, as were ESO images of astronomical objects observed by ESO telescopes that are normally displayed in the Presidential Palace in Santiago.